Mr. Ward is a certified elder law attorney (CELA), and certified public accountant (CPA). Mr. Ward's approach to estate planning is to evaluate each client's personal goals and financial situation, and to develop a customized plan for each client. He utilizes both traditional estate planning vehicles and innovative techniques that integrate personal estate planning goals with a client's business and financial plans. Mr. Ward represents his clients on a highly personal level and takes the time to understand issues and provide custom tailored solutions. His goal is to support clients in developing a sense of security for their families and themselves. The Virginia State Bar Association Estate Planning and Administration Specialist Certification Board has certified Mr. Ward as an Virginia Estate Planning and Administration Specialist. 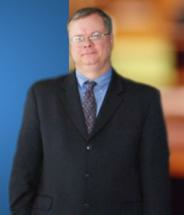 Mr. Ward has extensive experience in the growing specialized area of elder law. The National Elder Law Foundation has certified Mr. Ward as an elder law attorney, making him one of only a few attorneys in Virginia to earn this designation. As an elder law attorney, Mr. Ward advises clients on a variety of legal issues concerning the elderly, including but not limited to Virginia Medicaid and nursing home planning, estate planning, guardianships, and taxes. Mr. Ward's services include preparing and defending Virginia Medicaid applications. As a certified public accountant and member of the U.S. Tax Court Bar, Mr.Ward offers basic and advanced tax services to clients. Services include tax return preparation and representation before the Internal Revenue Service, Virginia Department of Revenue, and United States Tax Court. Mr. Ward has extensive experience in assisting taxpayers resolve tax debts through the IRS offer to compromise (OIC) program. Mr. Ward's tax clients include individuals, estates, trusts, partnerships, nonprofit foundations and corporations.